Caribbean Lifestyle Media-Buju Banton finally had the chance to spend some time with his family and regroup for the holidays. 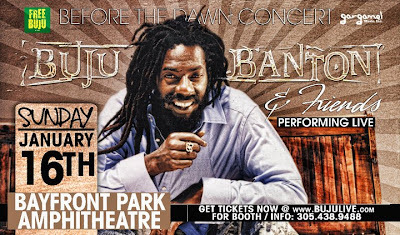 You will get an opportunity to experience Buju on January 16th, Miami comes alive with the Before the Dawn Concert-the album of the same name is available on Amazon . Buju is awaiting retrial and was granted permission by the courts to perform at this concert. This one is not to be missed.